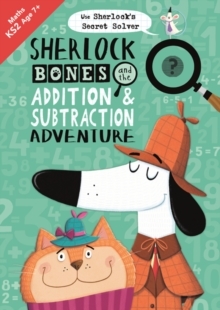 Sherlock Bones and his trusted accomplice Dr. Catson are embroiled in a frenetic times-table adventure. They must follow a teasing trail of multiplication-themed maths puzzles, and it's up to the reader to find the answer to each fiendish problem, all in the hope of foiling Professor Moriratty's evil plan. 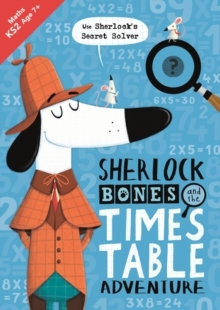 This charming maths activity book features 'Sherlock's Secret Solver' magnifying glass which reveals the answer to each puzzle when placed over a moire area, allowing children to test their numeracy skills again and again.